Google will be moving on from the Nexus 5 and have not included the smartphone in its new hardware storefront. The company has said that the focus now will be on Nexus 6, released in late 2014. Prior to the official announcement that Google would be discontinuing the smartphone, there was news floating about that the company would be discontinuing the Nexus 5. Google stated that the news wasn’t accurate and that it would be available via Google Play and some retailers into early 2015. It appears that Google and the news prior were both correct as there was plans to stop production of the Nexus 5, but had enough of the phones to keep them on its Google Play storefront. With the shift in focus to the Nexus 6 and the new hardware-focuses storefront (The Google Store), the Nexus 5 seems to have phased out from Google’s arsenal of devices—at least for now. Meanwhile the Nexus 6 will be in the company of other popular Android powered devices such as Chromecast, Moto 360, Chromebook, members of the Nexus family, and other devices and wear. 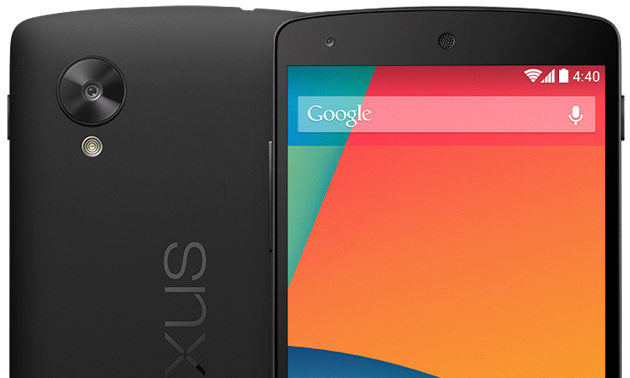 While the company has said that there is some Nexus 5 inventory left, it won’t be putting it out there for sale. It looks as though if you want a Nexus 5 you’ll have to pick it beyond official retail via sites such as eBay or find one via a carrier.